I am joining “The Great International Stash-Busting Giveaway”. On February 4th, 2009 crafters all over the world will be giving away items from their personal stashes. My gift will be a collection of paper and fabric supplies plus some embellishments. 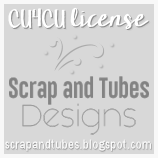 This will be a fun collection of supplies that are great for quilters, papercrafters, and mixed media artists. First we have a collection of Christmas cottons perfect for getting a headstart on projects for decorating or gifts. 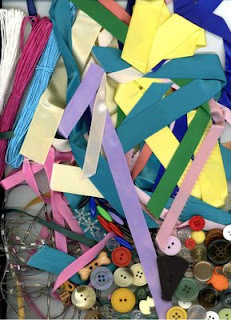 Next we have a collection of ribbons, trims, buttons and beads perfect for embellishing your projects. 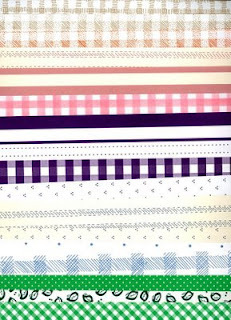 Finally we have a selection of acid free scrapbook papers. Even if you are not a scrapbooker these are great for mixed media, cardmaking and other paper crafts. Please leave a comment on this post to enter and I will email you on February 5th, 2009 if you are the winner. Here is the long list of all the lovely blogs that are participating. You will want to go check out their giveaways too. Comments Closed...Winner has been emailed. Love your site this is fun. Thank you for visiting my site please count me in. I would love to be counted in for your giveaway! Please enter my in the give away goodness. Cool site! Count me in! I'm a fabric junky! Thanks for the giveaway! So exciting! Hi, I'd love to be counted in for your stashbusting giveaway, thanks! Sounds like fun! Add my name to the hat! Looks like a great giveaway. Please count me in. I can't wait to see what your prize is, I'm sure it will be wonderful. I would love to win these! Thanks!! love the look of your blog--that background is great! Ohhh a stash pack would be such fun to receive! I would love some new goodies to play with! sounds amazing! please enter me. please count me in for this one! i love the idea of mixing fabric and paper in the giveaway! Your gift is a surprise so far and it is cute too! I hope to use your gift of fabric for the blankets I often make fot the children of orphange Almaz Ashene, Addis Ababa Ethiopia were my youngets son lived before we adopted him. Oooh pretty blog. Please can I be entered? Sounds lovely! Count me in please! It sounds really great! Please count me in. I love surprises and paper and fabric so please add my name to your giveaway draw. I'm having so much fun discovering all these blogs! Yes, please! A goodie assortment! Count me in please. I found you via the OHOW giveaway. I'm enjoying your blog. I love surprises. Please enter me in your giveaway. No picture needed - count me in! I would love to win. I have always and forever loved both fabric and paper. i like surprises! please enter me. Oh I would love to win your generous giveaway. I am really into altered art and am always on the hunt for "treasure". Love to do all kinds of craft, please count me in! Sounds like a wonderful package! Please enter me! Oh, what lovelies! I love all the notions you are offering up, I need to restock my notion stash! Thank you for being so generous! Wow. You make this giveaway extra fun. 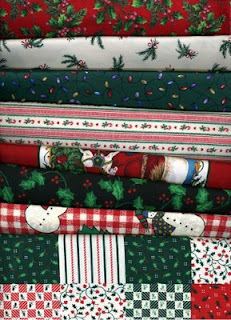 Love the Christmas fabrics! Oooh, what lovely packages you've made up! I'm always in need of christmas fabric, I run out every year!! What a fun selection! Thank you so much! What a great blog you have...and the fun stash uster stuff id fabulous! Thanks for the chance. Very tempting -- It's more than fabric! Count me in! Love your fabrics, count me in please. Oooh! Christmas fabrics! Please count me in! Wow! That all looks fun! Fun mix. Thanks for doing this! These are outstanding. I would love to be considered for your drawing. Thanks! That has got to be one of the best bundles! What a great giveaway! Please add my name to your draw! This a lovely lot of stash enhancing items! Super! Please add my name to the hat! Oh, how fun! Count me in please. I would LOVE the ribbon & buttons, but would be happy with ANY of these items....I would love to be in your giveaway, please & thank you! Nice to "meet" you and I look forward to checking out your blog. Thanks for putting my name in your draw and your generosity. Oh please count me in! I am so in need of fabric! Wow! Such an amazing assortment of goodies to giveaway. I would love to enter the draw. Wow, fabric, ribbons and paper?! I'm set for life! I'll never be able to pulled out of the crafting room! Your so generous! I love your giveaway and hope I'm not to late!